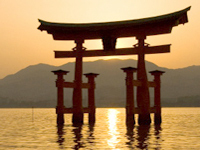 The history and charm of Japan are yours to discover. 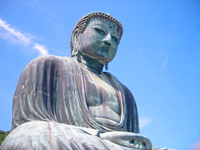 Enjoy a traditional tea ceremony in Tokyo and visit Kamakura’s Great Buddha. 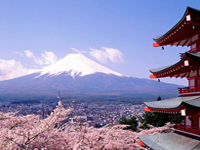 View iconic Fuji and stroll the beautiful gardens of the Hase Kannon Temple. Journey to the Imperial Palace Plaza, Tokyo Tower and Asakusa Temple. Enjoy the verdant grounds of Meiji-Jingu Shrine and then take part in a traditional Japanese tea ceremony at the tranquil Happoen Garden. Have dinner at a local izakaya (Japanese pub), and stroll the neon streets of the glamorous Ginza shopping district. Take a scenic drive to Kamakura to see the Great Buddha at Kotoku-in. Then visit Hase Kannon Temple; and its flower-laden garden. Continue to the forested slopes of Hakone National Park. Cruise Lake Ashi and board a gondola on the Komagatake Ropeway for a spectacular view of Mount Fuji. 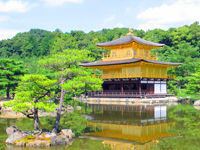 Kyoto explore the Ginkaku-ji (the Silver Pavilion), stroll along bustling Teapot Alley to Kiyomizu Temple, known for its massive verandah and stunning views of the city. See the 1,001 statues of Kannon at Sanjusangendo Temple. Explore northwest Kyoto to view some important examples of karesansui (dry landscape gardens) at Ryoan-ji, Daitoku-ji and the often-photographed Kinkaku-ji (Golden Pavilion). Take a drive to the Shigaraki nature preserve, where a world class art collection awaits at I.M. Pei’s stunning Miho Museum. Drive to ancient Nara, Japan’s first capital, where you stroll though Nara Park, home to more than 1,000 tame deer. Continue to Todai-ji Temple, the world’s largest wooden structure, housing the largest bronze Buddha in Japan. After lunch, visit Kasuga-taisha Shrine, famous for its many bronze and stone lanterns. Travel by ferry to the picturesque island of Miyajima to see the stunning Itsukushima shrine, a UNESCO World Heritage Site. Stay in the nearly 150-year-old Iwaso ryokan, ideally located amid Japanese maples. 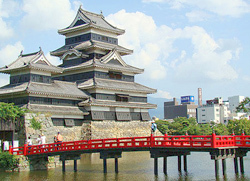 A full day of sightseeing includes a visit to 17th-century Osaka Castle and a leisurely cruise along the Okawa river. Also, see Tempozan Harbor Village on Osaka Bay, where the Kaiyukan Aquarium is the main feature. Here ancient cities are electrified by the breathtakingly new… gilded temples and glittering skyscrapers reign over streets steeped in history and tradition. Visit castles that have stood the test of time. Mingle with locals on a canal-lined street. In Kyoto, golden pavilions and a nightingale castle honor royal times, and cultural arts keep customs like Origami, tea and Maiko dancing alive. Your travel begins at The St. Regis Osaka, located in the heart of the Champs Elyseés of Osaka. Spend two nights enjoying one of the most prestigious neighborhoods of this ancient port city, surrounded by natural beauty and cultural grace. It’s all aboard the super-fast Nozomi Super Express for a visit to Hiroshima. A ferry takes you to Miyajima Island for a walk to view the oft-photographed Itsukushima Shrine and its “floating” torii gate. 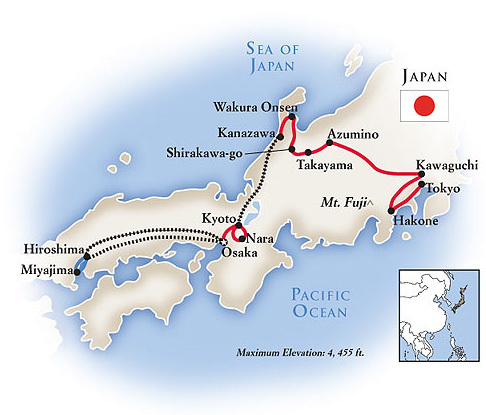 Have lunch on the island and return by ferry to Hiroshima for a visit to the Hiroshima Peace Memorial Museum, where the first atomic bomb fell on August 6, 1945; today it is a UNESCO World Heritage Site. Your visit is poignant, the story described in words, pictures and artifacts – and optimistic hope in the peace flame that burns outside the museum. 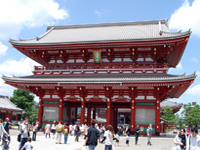 City sightseeing includes two of Osaka’s most popular landmark sights. 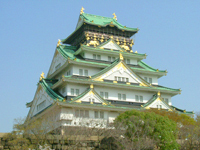 Once the largest castle in Japan when it was first built in the 1580s by Toyotomi Hideyoshi, magnificent Osaka Castle has been destroyed – and restored – several times, with its most extensive refurbishment completed in 1997. A guided tour reveals its massive stone walls, black and white gold-leaf trim, copper roof and panoramic views, including a fascinating on-site museum that chronicles its tumultuous history. Running alongside a canal of the same name, Dotonbori Street pulses with lively energy, from its shops to its dining venues; enjoy a stroll and lunch before continuing to Kyoto for four nights. 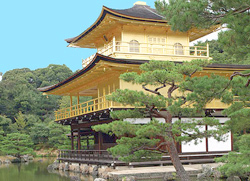 Visit Kinkaku-ji Temple, this Golden Pavilion was designated a UNESCO World Heritage Site and astounds with gold-leaf gilding on its top two stories. Continue on to Nijo Castle for an inside visit. Best known for its ornate interiors and nightingale floors, it was built of Japanese cypress by the first Tokugawa shogun in 1603 and is a wonderful example of Momoyama architecture. 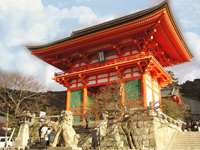 Kyoto abounds with a rich legacy of ancient treasures, cultural gems and natural beauty that spans the centuries as you visit the Kiyomizu Temple. Try your hand at Origami, the traditional Japanese art of paper folding, when you visit a private home for a tea ceremony. 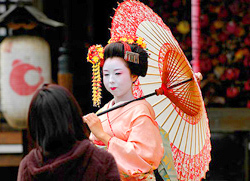 A special dinner features a Maiko (Geisha in training) performance, reflecting the true essence of Japanese culture. Tour Sanjusangendo Temple, home to 1,001 wooden cypress statues of Kannon-Bosatsu dating back to the 13th century. Continue on to Nara, where you’ll savor an unforgettable glimpse of old Japan on visits to ancient temples, shrines and gardens. See the Great Buddha at the Todai-ji Temple in Nara Park; at more than 50 feet high, the huge statue is the largest bronze Buddha in all of Japan. Stroll the wooded grounds of the vermilion-colored Kasuga Grand Shrine, adorned with some 3,000 stone and bronze lanterns. It’s all aboard the Thunderbird train for a rail journey to Kanazawa, home to winding cobblestone streets, Samurai residences, Geisha houses, museums, gardens, and a flower-filled open-air market. Stroll through Kenroku-en Garden, among the country’s top three gardens; translated, its name means “a refined garden incorporating six attributes: spaciousness, careful arrangement, seclusion, antiquity, elaborate use of water and scenic charm.” Spend tonight at a ryokan (inn), where the dress code is a traditional kimono, mats double as chairs, and dinner features regional specialties – and a drumming show. 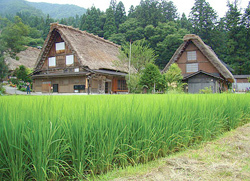 Travel to Shirakawa-go, a UNESCO World Heritage Site known for its villages of thatched gassho-zukuri farmhouses. Visit a private 300-year-old family home and explore the historic village of Ogimachi, the largest village with 59 intact gassho houses. See the Miboro Dam en route to your mountain resort in the 16th-century town of Takayama. Takayama is renowned for its remarkably preserved Edo-period merchants’ shops and houses, quaint village streets and sake. 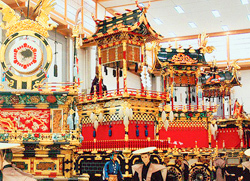 A walking tour with a local guide visits the farmers’ morning market, the Festival Float Museum and the historic Takayama Jinya. There are more than 2,000 different brands of sake produced throughout Japan – taste a representative sampling today when you visit a local sake brewery. Following a remarkable drive through the Alps of Japan travel to Fuji-Hakone National Park. Rice farms dominate the valleys, while lush forests blanket the mountains. Learn about local farming techniques at the Daio Wasabi Farm and visit the Itchiku Kubota Museum, showcasing Japanese textiles and kimonos. Continue on to your hotel in the hilly hot springs town of Hakone. Get a glimpse of Mt. Fuji as you travel by gondola on the Hakone Ropeway over the mountains, and ride a funicular back down for a cruise on Lake Ashi. Visit the Hakone Open-Air Museum to view sculpture from the post-Rodin period and art by Pablo Picasso, Renoir and Miro, and journey to Tokyo. A guided city sightseeing excursion today includes the Edo Tokyo Museum, Asakusa Kannon Temple and the Nakamise Shopping Arcade – and a Japanese Taiko drumming experience this afternoon beats with local cultural traditions! Visit the Imperial Palace Plaza and Meiji Shrine honoring the spirits of the Emperor Meiji and his Empress Shoken with eternal serenity and tranquil manicured gardens. As a special treat, see a live performance showcasing age-old Shinto music with the ancient Kagura dance. Sushi making is an art here; see how it’s done at a culinary demonstration. Your tour ends in Tokyo. Your might consider extending your vacation with a cruise.